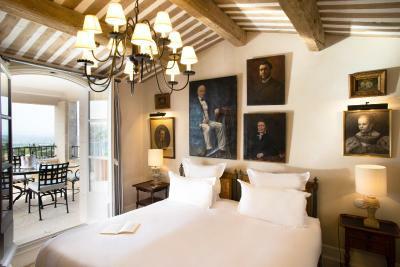 Lock in a great price for La Bastide de Gordes – rated 9.4 by recent guests! Beautifully appointed hotel! Highly skilled & friendly staff. Relaxed atmosphere. Impeccable attention to every detail. This was truly a 5 star experience....3 nights was not enough time! This is a very luxurious place to stay in, very friendly too. Rooms were very nice. Dinner was very good. All in all, it was a very nice experience. the elegant restoration of this building is worth a trip to France. Enjoy. All the staff were extremely friendly and helpful. Fully attentive indulgent staff, accommodated us with an upgrade initially although the elevator did not function. Then made adjustments to give us a glorious suite. The staff was fabulous from the moment we walked in the door. I can't speak highly enough about the property, THE STAFF, the food, the view, the location, the beauty of the property etc - It's one of my favorite hotels in the world, truly. I just wish that with Booking.com I would have been better informed. Everything is excellent except of the temp regulation/window. 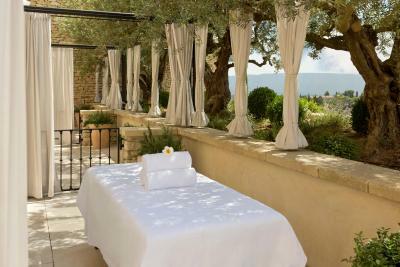 Located in the hilltop village of Gordes, La Bastide de Gordes features 18th century décor and offers panoramic views over the Luberon valley from its many terraces and hanging gardens. The hotel was fully renovated at the beginning of 2017 and was awarded Palace distinction in 2016. Free WiFi is available throughout. 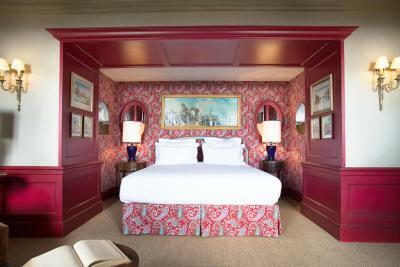 Most of the spacious rooms and suites feature private bathrooms with a bathtub, and some also include a separate shower. A flat-screen TV with satellite channels is provided. The hotel's restaurants, L'Orangerie and La Citadelle, both feature Provençal cuisine made with local and seasonal products and also offer regional wines. Meals can be enjoyed in the vaulted dining room or on the shaded terrace with its view of the valley. The Sisley Paris spa offers massages and features a hot tub, massage whirlpools, a hammam, an indoor chromatic pool and a solarium. There are 2 outdoor pools in the gardens which are surrounded by a sun deck and offer unrestricted views of the valley. The property is a 50-minute drive from Avignon TGV Train Station. This property also has one of the top-rated locations in Gordes! Guests are happier about it compared to other properties in the area. 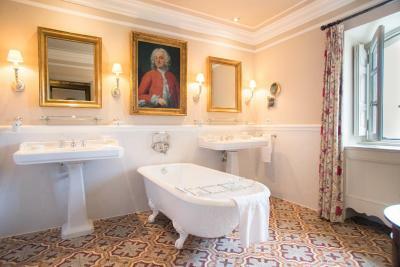 When would you like to stay at La Bastide de Gordes? 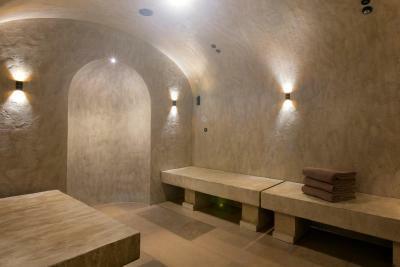 This room is located on the village side of the building and features a spacious shower. 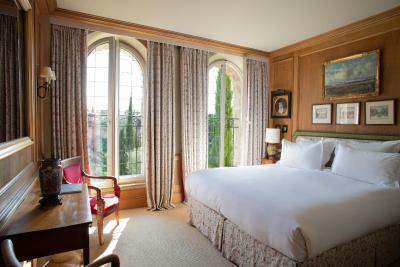 This room can connect to a valley view suite upon request. This double room features a view of the valley, a walk-in closet and a private bathroom with tile floors and a bathtub or spacious shower. 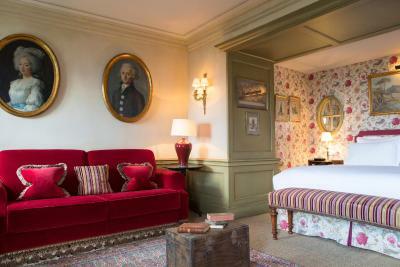 This spacious double room features a large dressing room and a separate lounge area with 18th-century furniture. This room can accommodate an extra bed with reservation for an extra fee and according to availability. Please contact the property to organize this. This spacious room features a lounge area and views of the valley. The private bathroom has tile floors and a bathtub. This spacious room features a large dressing room. The private bathroom has cement tile floors and a bathtub. This room features a view of the valley, a large dressing room and a private bathroom with tile floors and a bathtub or spacious shower. This room can accommodate an extra bed prior reservation for an extra fee and according to availability. Please contact the property to organize this. This suite features a large dressing room, views of the Luberon mountains, and a private bathroom with a separate bathtub and shower. This room can accommodate an extra bed prior to reservation for an extra fee and according to availability. Please contact the property to organize this. This suite features a view of the valley, a large dressing room and a private bathroom with a free-standing bathtub and shower. This spacious suite features a view of the valley, a separate lounge, and a private bathroom with a free-standing bath and separate shower. This suite features a view of the valley, a private terrace, a large dressing room, and a spacious private bathroom with a separate bathtub and shower. Only some rooms can accommodate an extra bed according to availability. This spacious suite features a private atrium, a lounge, a large dressing room and a private bathroom with a separate shower and bathtub. 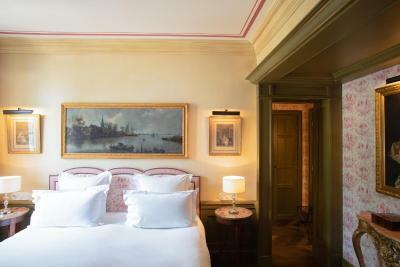 This spacious suite features a private terrace with panoramic views of the Luberon Valley, a separate lounge, 2 private bathrooms and a large dressing room. 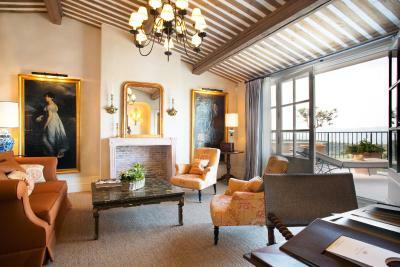 You will discover the calm & serenity of a unique location in the heart of Provence, where elegance is a way of life. House Rules La Bastide de Gordes takes special requests – add in the next step! La Bastide de Gordes accepts these cards and reserves the right to temporarily hold an amount prior to arrival. Everything!! The Sunday brunch in particular was spectacular!! Some of the activities hotel suggested - by taking car and exploring other villages - were not worth traveling and/or spending money as I had to spent a lot for transportation. For example, local markets they suggested were just too small to call it a market (it was rather a small group of a few merchants which was disappointing to discover after 40-50 min drive with a chauffeur) and a truffle museum they suggested closed for a private function without a prior notice. Better organization/coordination might have helped. Bus loads of day-tourists descending on the village daily. Everything was superb, but the staff were especially so. Stay on the valley side of the building if possible (it was full when we went), the village side room was very noisy...and the bed was a little hard for our liking, but the rooms are beautifully decorated so just a personal preference for a soft bed! Outstanding meal at La Citadelle with an excellent range of options and an exceptional dinner at Peir. Beautiful setting, sunset cocktails and dining on the terrace...just perfect. Highly recommend both! The bistro is to expensive. A better option is there Italian restaurant at the church in Gordes. That’s lovely. Location and the staff is incredible. The concierge could have been more helpful when asking for recommendations for a wine tasting. The hotel is absolutely beautiful. There are many spots to lounge and the views are excellent. We had Sunday brunch at L'Orangerie which was amazing and definitely worth the money. continental breakfast at €35 was very expensive, and drinks were very pricey in the bar. Excellent service and the hotel staff were very attentive to all their guests needs. From small gifts in the room at night for the turn down service, to the daily local acitivities list. We loved the free electric bikes for hire and the Michelin starred restaurant was amazing for a special meal. The bar for an evening aperitif was wonderful with a fantastic view over the countryside. - The hotel is extremely overpriced. - The view from the terrace was nice, but less than the pictures on the site and not enough to justify the price. - We got a room on the first floor facing a sidestreet, where people sitting at a coffee shop could see into our room, and we could hear them talking. - The aircondition made a lot of noise and almost kept us from sleeping. - The toilet was seperate from the bathroom, and was located in a closet next to the bed, without a sink.. Not very convenient or hygienic. - The room was large. - The bed was comfortable. 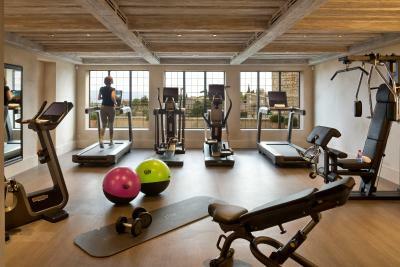 - The hotel is very close to the village. Stunning hotel, in a stunning little town. Staff were lovely, the restaurants were fantastic, the views were epic. An expensive place, but worth the money.